David Bristow’s new book, The Game Ranger: The Knife , the Lion and the Sheep was recently launched at Adams in Musgrave Centre. 20 Tales about Curious Characters from Southern Africa . Wednesday 28 November 5.30 for 6.00 pm at Adams Musgrave Centre . David Bristow is the author of more than 20 books on South Africa and Southern Africa, among them books on Wildlife , a list of quirky places to visit in South Africa, Hiking , Walks and Trails (Drakensberg & Western Cape), Mountains and Natural History. His previous book was Running Wild: the story of Zulu, an African stallion. Bristow was editor of Gateway Magazine for 14 years , succeeded by fellow author Don Pinnock .With degrees in Journalism and Environmental Sciences , he has a well-rounded grasp on things that are not rocket science! He grew up on the Highveld north of Johannesburg Dreams of becoming an architect took a sharp turn on June 16, 1976, when ' the other side' of Johannesburg suddenly went up in smoke. He resigned that day and went to Rhodes University to study journalism. 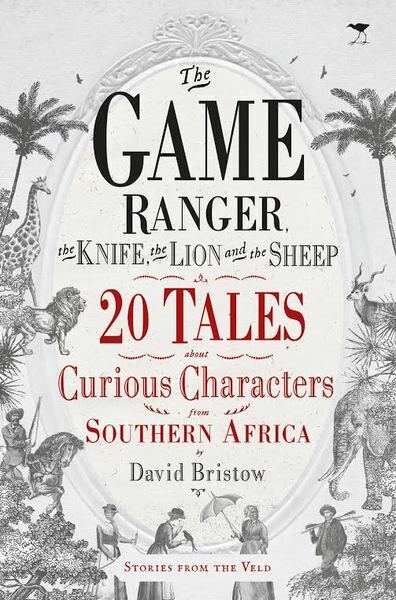 The Game Ranger , the Knife , the Lion and the Sheep offers spellbinding stories of some amazing , little-known characters from South Africa, past and very past. Among the characters are Krotoa, the Khoi maiden found working in the van Riebeeck household ; Mevrou Maria Mouton who preferred to socialise with the slaves on their Swartland farm; the giant Trekboer Coenraad de Buys, rebel, renegade with a price on his head who married many women (none of them white) and fathered a small nation; the men of learning such as Raymond Dart, Adrian Boshier and James Kitching who opened up the world of myth, ancient artefacts and creatures. 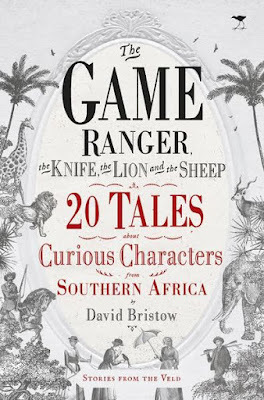 The Game Ranger is David Bristow's second book in the Stories of the Veld Series. Published by Jacana, it is priced at R240.